Don't let your past keep you from a full future. Like every girl, Sarah Jakes dreamed of a life full of love, laughter, and happy endings. But her dreams changed dramatically when she became pregnant at age thirteen, a reality only compounded by the fact that her father, Bishop T.D. Jakes, was one of the most influential megachurch pastors in the nation. As a teen mom and a high-profile preacher's kid, her road was lonely. She was shunned at school, gossiped about at church. And a few years later, when a fairy-tale marriage ended in a spiral of hurt and rejection, she could have let her pain dictate her future. Instead, she found herself surrounded by a God she'd given up on, crashing headlong with Him into a destiny she'd never dreamed of. Sarah's captivating story, unflinchingly honest and deeply vulnerable, is a vivid reminder that God can turn even the deepest pain into His perfection. 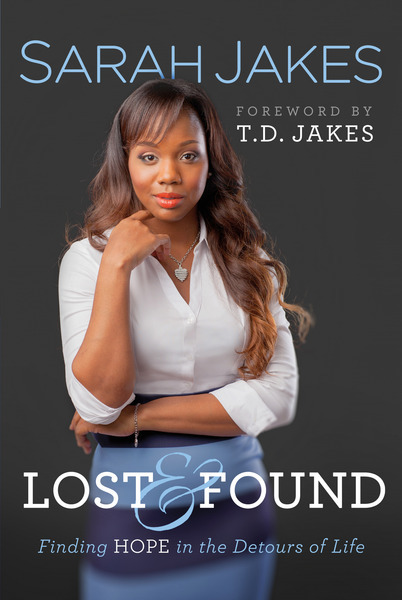 More than a memoir, Lost and Found offers hope and encouragement. Perhaps you, like Sarah, find yourself wandering the detours of life. Regardless of how lost you feel, you, too, can be found.